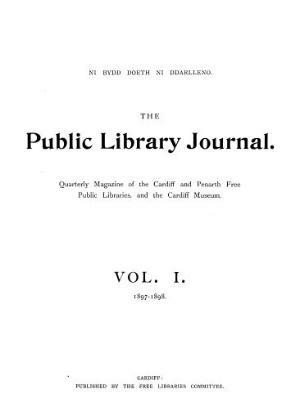 The quarterly periodical of the Cardiff and Penarth Free Libraries and the Cardiff Museum. The periodical's main contents were articles on the libraries and museum's collections, news form the libraries and museum, and lists of Welsh books and books of Welsh interest. The periodical was edited by Sir John Ballinger (1860-1933), later the first librarian of the National Library of Wales. Associated titles: Bibliography of Wales, a record of books in Welsh or relating to Wales (1905).